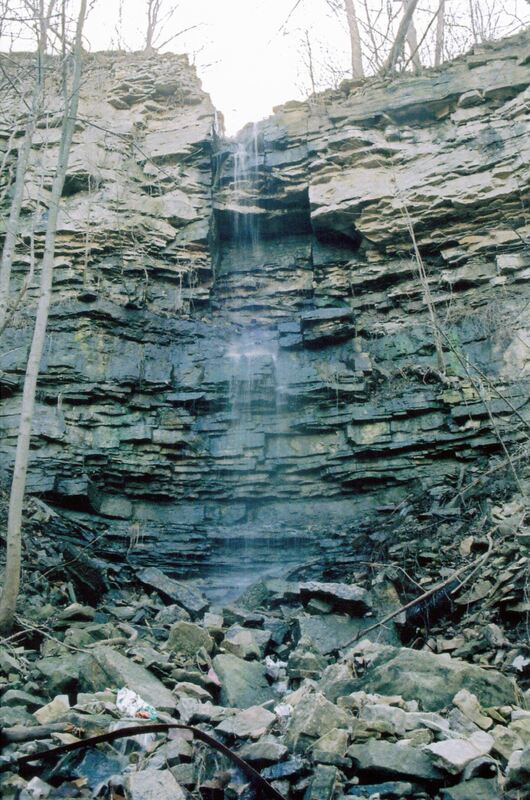 Little Rock Chapel Falls is a ribbon waterfall with a total height of 8 metres (26 feet) and a crest width of 1.5 metres (5 feet). It experiences its strongest flow during seasonal rainfalls and after the winter snow melt. 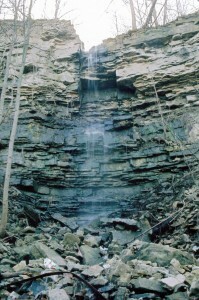 Little Rock Chapel Falls was “discovered” by Robert Nixon of Ancaster in Spring 2005. He was one of the members of the Hamilton Waterfall Group. The top of Little Rock Chapel Falls is located on the Bruce Trail immediately north of the parking lot on Rock Chapel Road at the Rock Chapel Sanctuary. The small creek that supplies this waterfall drains the road side ditches and farmers’ fields. 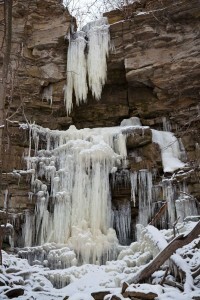 It is extremely difficult to reach the bottom of this waterfall. The quickest way to reach it is park at the Rock Chapel Sanctuary on Rock Chapel Road in Flamborough. 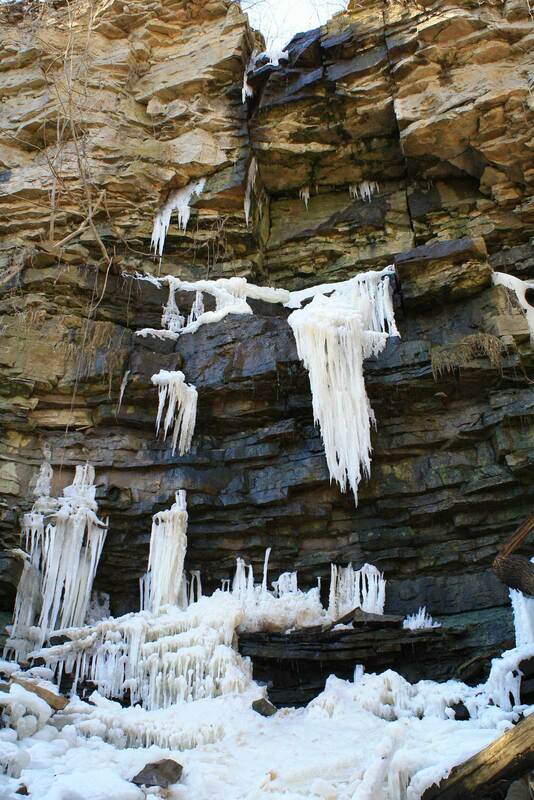 Follow the Bruce Trail northerly and just before you reach Borer’s Falls, you have to climb down the escarpment. There is no trail, it is steep, difficult and dangerous. Keep an eye for poison ivy as well. Once at the bottom of the escarpment, follow the escarpment wall about 200 metres southerly and again it is rough going. It is almost directly opposite Lower Borer’s Falls.